Jon and Ruth (Hartunian-)Alumbaugh have been a part of International Christian Fellowship (www.uconnicf.org) even before they were married! For over 25 years, they have served at ICF in various capacities, the most recent being the co-head leaders since June, 2015. They have genuinely enjoyed and appreciated the friendships made, the conversations had, and the scope of reach that ICF has had and will continue to have in the world, the present, and future! Under the umbrella of the parent organization (International Students Inc.,http://www.isionline.org/ ), Jon and Ruth are Ministry Representatives. 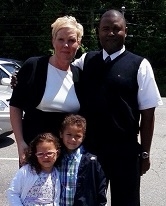 Their children, Jonathan and Rosie, were "born" into the ministry and have had many adventures with the family. Ruth home schooled the kids until college. Jonathan has a degree in Computer Graphics and Design from the University of Massachusetts-Darthmouth. He currently works in Providence, Rhode Island at Duffy and Shanley but happily lives near the ocean in Westport, Massachusetts. This means we can see one another once in a while! His website is jonathanalumbaugh.com. Check out his amazing designs! Rosie graduated from the University of Minnesota in May, 2017 with her BA in Theater Arts: Design and Technology with a minor in film studies. Her focus is in production/stage management and carpentry. She is currently working at various theaters in the Minneapolis area. We miss her terribly. By day, Jon is a Mercedes Benz shop foreman at Carriage House Mercedes Benz. He has distinguished himself in this area and is a Master Mechanic. He has been an MB guy for about 40 years. He is now partially retired and considering taking another full day off since he works half days now. He spends time with students and helps them with their cars and in discipling. Ruth teaches music at home (mostly piano) and has gone back to her profession as an itinerant Music Therapist, providing services wherever requested. You can find her at www.musicandmoreint.com and at www.regenerationtc.com/. She is the current Music Director at the Willington Federated Church and is also a contributing writer to The Chronicle (local paper) writing stores about local food. Variety, to her, is the spice of life. Jon and Ruth invite you to contact them if you would like further information about them and the ministry God has entrusted them with. They have served faithfully with ICF for about a decade now. They are an unstoppable couple of bring life to our Culinary Missionary part of ministry as well as spiritual wisdom and guidance. We are grateful for their love of internationals that goes WAY beyond meeting on Friday nights. They have been married over 50 years and pastor Mansfield Christian Fellowship in Mansfield, CT. I am a 3rd year PhD Chemistry student (Inorganic Chemistry) from Kenya. I was introduced to ICF one and a half years ago and this has been my fellowship ever since. I love traveling, workouts and meeting new people. I currently serve as the secretary and regularly serve as the MC. Through ICF my knowledge of scripture, understanding of Faith and my love for people has tremendously increased. Sylvia is a Master of Fine Arts candidate in Digital Media and Design with a concentration in Digital Humanities. She comes from Nakuru, Kenya and has studied in Massachusetts and Copenhagen, Denmark. She met the Lord when she was 16 and has since enjoyed being in a fellowship with others to strengthen her walk with Christ. She enjoys reading, Zumba and watching T.V shows and movies in her free time. Sylvia hopes that ICF will be a salt and light on the UConn campus. Bruce is a Coventry, CT native while Barbara is a native Long Islander and a proud dual Irish and American citizen. They met at Pinecrest Bible Training Center in upstate N.Y. in 1980. After graduation Bruce remained at the school where he was the men’s dorm counselor, the head of the print shop and taught bible classes to all three student levels for 4r+ years. In 1991 he felt his time at the school was over and so after prayer he accepted a job as a t-shirt screen printer in the Finger Lakes region of NY state and then followed that business to Charlottesville, VA a few years later. While in Virginia he attended a Mennonite church where he helped as a small group leader. In the year 2000 he sensed a calling back to New England, after 30+ years away, to pray for a 3rd Great Awakening in his home state and in the rest of New England. After graduation, Barbara, meanwhile, returned to her home church on L.I., which was also a retreat center run by the bible school. She lived there serving on staff as the church’s youth leader as well as one of the retreat center’s worship leaders. She remained there for seven years before leaving L.I. and moving to the Finger Lakes region of NY state. After living there for seven years she moved to the state of Maine. There she lived for 10+ years serving at her friend’s church in worship and youth ministry while also helping to establish the church’s prayer ministry. After Bruce returned to New England in 2000 they took up their friendship where they left off twenty years earlier and in September of the following year they were married. They were on their honeymoon when the attacks on 9/11 occurred. They happily spent their first year of married life in Maine when, while at a conference on intercession, Barbara felt the Lord speak to her that they were to move back to Bruce’s home state of CT to continue to pray for revival. Bruce confirmed that he was sensing the same thing, so they pulled up roots and moved to Coventry. After living there for a few years Bruce received a call from his former pastor in Virginia asking him to return, inviting him and Barbara to become part of the church’s leadership team. So, it was that after some prayer they felt an OK from the Lord, accepted the offer, quit their jobs, put their house on the market and moved down to Virginia. There they served as the church’s youth pastors and heads of the prayer ministry. They were firmly established in VA four years later when once again the Lord spoke to their hearts separately about CT and New England. Surprised, yet obeying this sovereign call back CT, they, by faith, once again quit their jobs, put their house on the market and returned to Coventry. Here they still are today continuing their prayers for the Lord to once again visit this region with a fresh outpouring of HIS Spirit. For a while they had a home church but after a few years felt the Lord speaking to shut it down and with all involved agreeing, they did so. Both, hold a 3 year diploma in biblical studies from Pinecrest and are ordained ministers under International Accelerated Missions (IAM), a Pinecrest Ministerial Fellowship (PMF) ministry to the nations. They are members at Light on the Hill Church in Willimantic, CT where Barbara serves as part of the worship team. She is also a certified medical assistant working full time at St. Francis Hospital. Bruce is a teacher’s assistant with Oak Hill where he works full time at their school for developmentally disabled teens in Hebron. Bruce also has his own business as a landscape photographer. They love mentoring the International graduate students and have been volunteers with this ministry since 2016. Barbara serves on the worship team while Bruce serves as one of the small group bible study leaders. 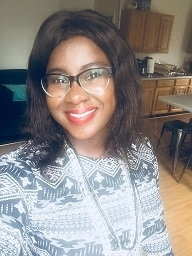 Sara Crissy is a faithful friendship partner and food service worker to the spiritually and psychically hungry international students and scholars at the University of Connecticut. She truly likes to make sure these visitors and students have time away from the demands of campus life so they have a chance to experience some of what life is all about. She offers distractions of all kinds. Driving in America, special trips, visits to American homes, helping with conversational English, seeing plays and concerts, hosting picnics and American Holiday meals are just a few examples of the distractions she regularly invites her international friends to experience. Mostly she hopes they will experience the "Way" to and the "Way" of Christ Jesus and that they will see how God is blessing them in this strange new nation they currently reside in.